In March 2013, early education programs such as Head Start schools were hit with a mighty blow from the sequester budget cuts. While most Americans would probably ask, “What is sequester cuts?”, the were likely affected by them without even knowing. The Head Start budget, like budgets for other federally funded programs, such as defense, housing and other special education programs, was reduced by over 5-percent. Unfortunately, many Head Start schools were forced to reduce program availability to low-income families, cut staff or, in some cases, shut their doors completely. Fortunately there are some ways for Head Start schools to overcome these sequester budget cuts. Part of the Head Start budget goes to providing education, health care and even dental care for these children and their families, but a large portion also goes to nutrition. Purchasing food for these programs can be very costly and, when it comes to children, food does get wasted. With a focus on nutrition and making healthy eating choices, Head Start schools are in the perfect position to use breakfast, snack time or lunch time as an opportunity to educate. Natural, basic food supplies are often much more affordable for Head Start schools than pre-packaged options. Working with a company like FoodSource Plus, which performs an audit on your spending policies and habits, while working with your staff to improve your menu and nutrition according to state and federal requirements, can help. 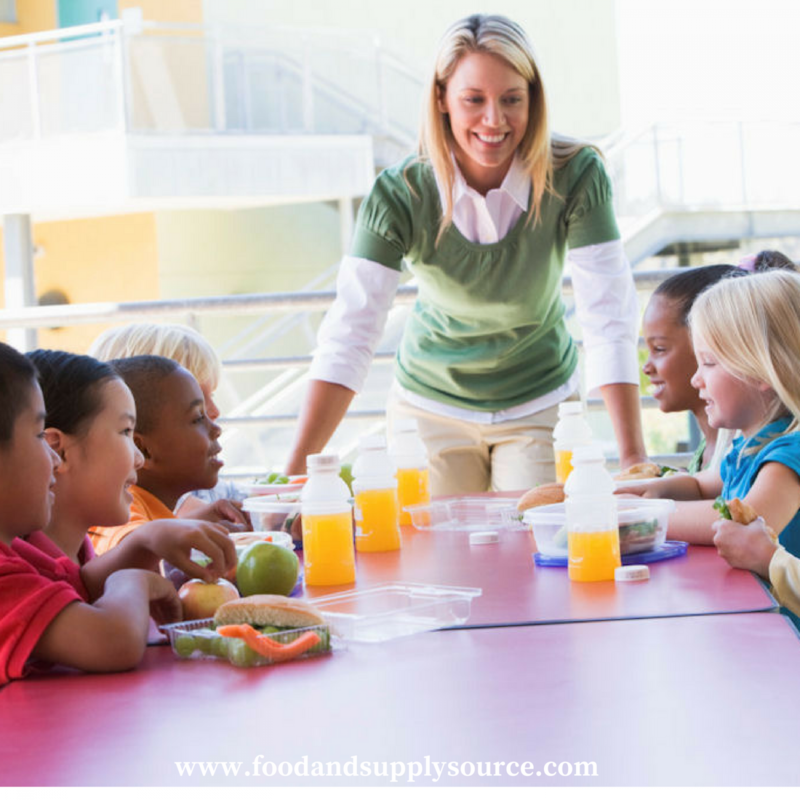 While the sequester budget cuts took about 5-percent away from the annual Head Start budget, you can save between 10-35 percent annual just by using FoodSource Plus as your supplier. They network with pre-vetted vendors who supply Head Start schools with quality foods and other supplies that they need to operate their programs locally. FoodSource Plus is a FREE program for human services, such as Head Start schools, increasing buying power through sheer numbers and across-the-board ordering nationwide to help administrators stick within their annual Head Start budget and cut costs on items that are purchased on a regular basis. They can even help reduce costs associated with office supplies and janitorial supplies through their sister organization, SupplySource Plus. Sugar is one of those ingredients that is difficult for many families to reduce. Sugar is naturally found in dairy products, such as cheese, yogurt and milk, along with fruits and some vegetables. Added sugars are what are troublesome for young children and adults, so by reducing them you can help children stay healthy as they grow. Processed foods have a lot of added sugars and can be more expensive for Head Start schools to purchase compared to basic food items. While easier to prepare, in the long run those expensive processed foods will not just affect the Head Start budget, but also the nutrition and health of the children in the program. What Foods Contain Added Sugars? Added sugars are just about everywhere in the world of processed foods, but you can reduce them greatly by avoiding fruit drinks, sodas, cakes, pies, cookies, candy and dairy-based desserts like puddings. Sugar-sweetened cereals and most cold cereals on the market have a lot of added sugar. It can be difficult to reduce sugar when you are purchasing processed foods, so speak with your FoodSource Plus adviser about using more fruits, vegetables, healthy proteins and whole grains in your Head Start schools. Another way that added sugars sneak into processed foods is through names other than sugar on the nutritional label. Ingredients such as high fructose corn syrup, white sugar, brown sugar, corn syrup, raw sugar, malt syrup, pancake syrup or any names that end in “-ose”, such as fructose or sucrose – these are all added sugars. The higher an ingredient is on the list of ingredients, the more it is in the product. Choose foods where sugar is not in the first three ingredients on the list and learn how to read sugar contents in food labels. What is Sequester Cuts – and How Do They Affect Your Head Start Budget? The good news is that sequester budget cuts will very likely be going away in the new 2014 budget that is currently being considered by Congress. Once those funds are restored though, it is still important for Head Start schools administrators to keep watching their Head Start budget. Not only will it help you to reduce costs on food, office supplies and janitorial supplies, but it will also prepare you in case another round of budget cuts hits the program. With the global economy in the current state that it is in, and many more families depending on programs like Head Start schools for early education, nutrition, health care and dental services, administrators should keep operating as though the sequester budget cuts were still in force. The more you can reduce, while still maintaining quality nutrition and educational services, the more positions and opportunities can be opened up for local low-income families in your area. Call FoodSource Plus today to find out more about all of their nutritional/menu programs and spending audit opportunities that can help you reduce your Head Start budget by as much as 10-35 percent each year.